11% in Bristol would let a gas engineer through their door without asking any questions. Around 1.1 million gas jobs are carried out every year in the UK by illegal fitters who aren’t properly qualified, putting householders at risk of carbon monoxide poisoning, gas leaks, fires and explosions, a government body has warned. A study[i] by Gas Safe Register, the UK’s only official gas registration scheme, found that illegal gas fitters installed over 186,000 gas cookers, 147,000 boilers, 75,000 gas fires, 32,000 gas meters and 645,000 gas pipework over one year. Gas Safe Register has a team searching out rogue fitters and has investigated almost 5,000 illegal gas jobs in recent years. Of those gas appliances investigated in Cardiff, 79% were found to be in an unsafe condition. A worrying 35% were deemed to be so dangerous that the appliance had to be disconnected immediately. According to new researchii carried out by Gas Safe Register, 23% of people in Cardiff – the equivalent of 80,000 people – said they had been let down by a tradesman. 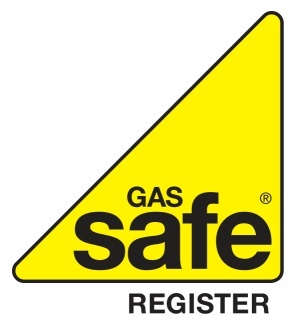 Although 76% of Cardiff residents said they would look for an ID card stating the tradesman’s competencies when looking for a trustworthy tradesman, worryingly Gas Safe Register’s own data revealed that when it comes to gas work only one third of people actually do check if their engineer is qualified, safe and legaliii. Every registered gas engineer carries a Gas Safe ID card. Always ask to see the card and check their unique licence number with Gas Safe Register. The back of the card will also show which gas appliances they are qualified to work on. If you suspect that someone is an illegal fitter or are worried about gas work carried out in your home, please contact Gas Safe Register. For more information or to report illegal gas work, visit www.GasSafeRegister.co.uk or call 0800 408 5500.